Like Frodo Baggins, the protagonist of The Lord of the Rings, who held the all-powerful ring, she is a diminutive person wielding great power. She stands barely above five feet in her trademark flat sandals. 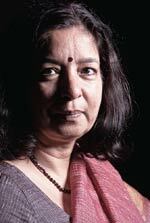 Yet Shikha Sharma, Managing Director and CEO of Axis Bank, makes an immediate impression. It is raining hard, for instance, the day Business Today has organised her photo shoot at a five-star hotel in suburban Mumbai. Yet she arrives at the appointed time looking effortlessly immaculate. She wears no make-up, barring a bindi. The achievements of this petite powerhouse, who shares her birthday, November 19, with Indira Gandhi, are formidable. Joining ICICI in 1980, she went on to lay the foundations of ICICI Bank's personal financial services. "A lot of people were sceptical," says Narayanan Vaghul, former chairman of the bank, when he suggested Sharma as the person to head the retail business. But Sharma proved them wrong. In December 2000, Vaghul zeroed in on her again while searching for a suitable person to head the insurance business ICICI was about to start. 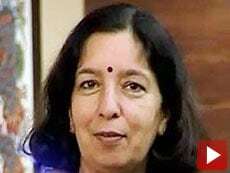 Sharma took charge of ICICI Prudential Life Insurance and repeated her success with retail banking. Among the host of companies that entered the space once insurance was opened up to the private sector, ICICI Prudential has been one of the most successful, crossing the 200,000 policies landmark within two years of its start with a premium income of Rs280 crore. "She built an entire new business in insurance and became a leader in no time," says Vaghul. Sharma, who remained Managing Director and CEO of ICICI Prudential till April 2009, calls the stint "an endearing experience". "It was completely psyching, we had global competition, but early success gives you confidence," she adds. She took over Axis Bank - formerly UTI Bank, the third largest bank after State Bank of India and ICICI Bank - in June 2009. Axis Bank's performance since she took charge has been admirable. For the quarter ending June this year, it reported a profit of Rs942 crore, a 27 per cent increase year on year. For such a high-flying achiever, Sharma is disarmingly modest, all too willing to discuss her failures and drawbacks. The start of her career, she reveals, was not particularly propitious. During the placement period at the Indian Institute of Management, Ahmedabad, or IIM-A - where she did her MBA - she was unable to land a job until Day Eight or Day Nine. "Foreign banks rejected me," she says. "I was losing confidence." But she was able to take it in her stride. "I was good at academics, but an introvert," she adds. "I was self aware enough not to get dejected. But I still felt bad." Finally ICICI gave her the break that defined her career path. "I think destiny did the right thing for me," she says. "The opportunities I got at ICICI, I would have never got elsewhere. I think god has a design for each one of us." Vaghul says he had great faith in Sharma's lateral thinking capacity. "When I was chairman, I could always look to her for creative ideas," he says. But Sharma will not acknowledge any such quality, calling herself a conventional thinker, claiming that thinking differently was something she learnt from her husband. She is married to Sanjaya Sharma, her batchmate at IIM-A and currently Managing Director of Tata Interactive Systems. The couple have a son and a daughter. All went well at ICICI until, in 2009, Sharma became a contender for the managing director and CEO's position. She was up against the equally high profile and meritorious Chanda Kochhar - and Kochhar was eventually selected. "Both Chanda and Shikha were jewels of ICICI," says Vaghul. "It is unfortunate that the crown could go to only one." Soon after, Sharma quit. True to form, she refrains from hyperbole even while discussing her plans for Axis Bank. "I'm not saying I want to take this bank to the Number One spot," she says. "We want to make it a great bank, that's all. We will focus on infrastructure and small businesses, as also on big-ticket loans and retail." Sharma's corner office on the eighth floor of Axis Bank's new corporate office in Worli, Mumbai, is small and comparatively frugal. It has just a desk - with a family photograph, some books on economics, and Ganesha idols on it - and chairs. It looks exactly the same as the offices of other senior executives at the bank. "I truly believe in egalitarianism, transparency, sharing and learning," she says. Like every working mother, Sharma, too, frets about not spending enough time with her children. "I consider my children my most enduring embodiments of achievement," she says. "But I haven't focused on them in the last 20 years." She had hoped to take a few days off to spend with her son before he started his first job in August, but could not manage it. "Too much was happening in the office," she says. If she had to make a tough choice between work and family, however, she says: "I know what I would choose."